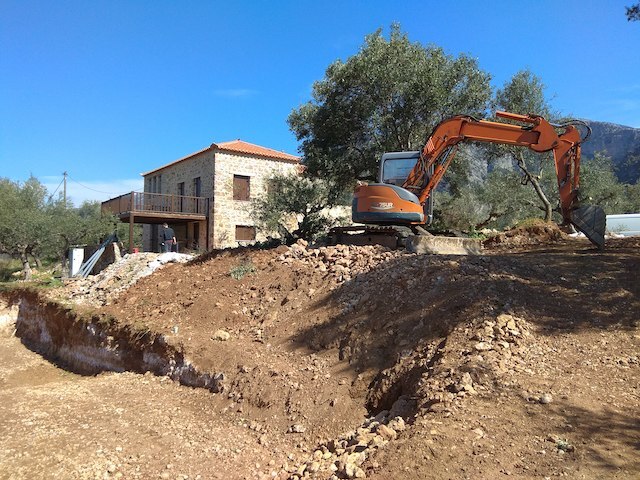 George the Architect sends over photos from the Greek Hovel where there is good news and bad. 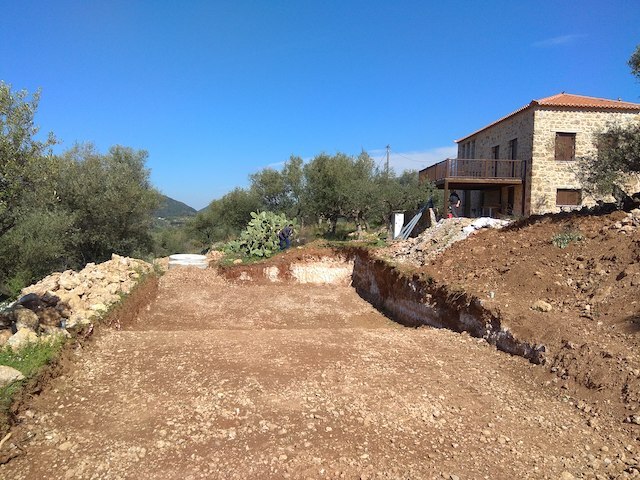 The good news, as you can see below, is that progress on the swimming pool continues apace. 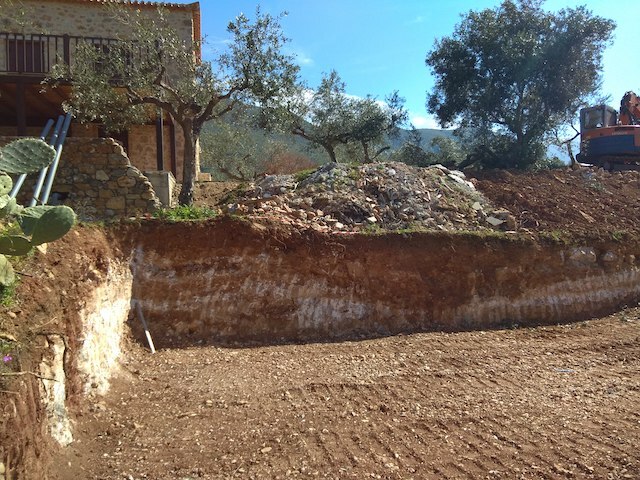 Now I know it does not look very deep but walls will be built around it so, fear not daughter Olaf, at the deep end the water will be 1.9 metres deep. 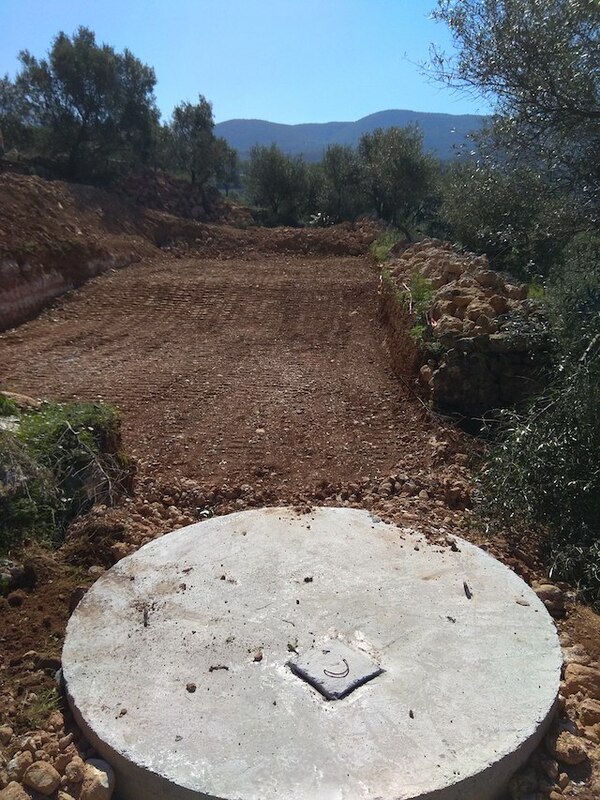 The bad news is that the water connection to the hovel and indeed neighbouring houses has broken so we are without water to fill the pool, in due course, or to water the olive trees we moved to make room for the pool. Greece being Greece, no-one has any idea when this will be fixed. 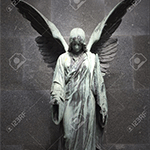 The good news is that God has been watering the trees - it has been raining heavily for days. The bad news is that heavy rains stop any further work on the pool. 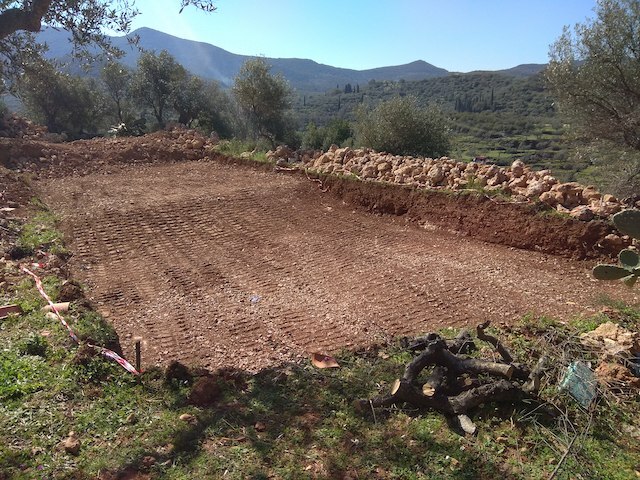 For now my attention is on our house move in the UK to the Welsh hovel but, fingers crossed, the Greek hovel will be utterly completed by mid May.